Today is both International Women’s Day (IWD) and the beginning of National Catholic Sister’s Week (NCSW). You don’t need to be Catholic or a Sister to honor NCSW. 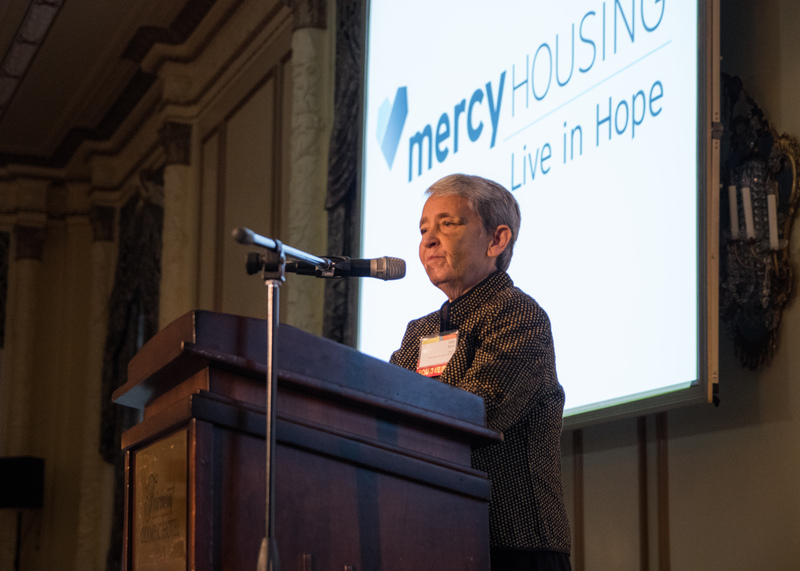 Mercy Housing wouldn’t exist, had it not been for a small group of dedicated Sisters who decided to bring positive social change to affordable housing. They have a long history of providing healthcare, education and social services to people from all walks of life. Ten years later, five women’s religious communities based in Washington State gathered to envision how to address the current needs of low-income individuals and families. With this in mind, the Sisters set a goal to provide well managed, affordable housing by coming together: the Tacoma Dominicans; the Adrian (Edmonds) Dominicans; the Sisters of Providence; the Sisters of St. Joseph of Peace; and the Sisters of the Holy Names of Jesus and Mary joined forces to ultimately establish Mercy Housing Northwest.(MHNW). We sat down with Sister Judy Byron, OP, MHNW Board of Directors and Program Director & NWCRI Director at Intercommunity Peace and Justice Center. Sister Judy has been part of the Adrian Dominican Sisters for 57 years, and her community has been an indispensable part of the Mercy Housing Northwest team.